Hannah and I were talking and we quickly realized that the past couple of weeks there were a lot of firsts for us and our family. The next pictures will take you through those. 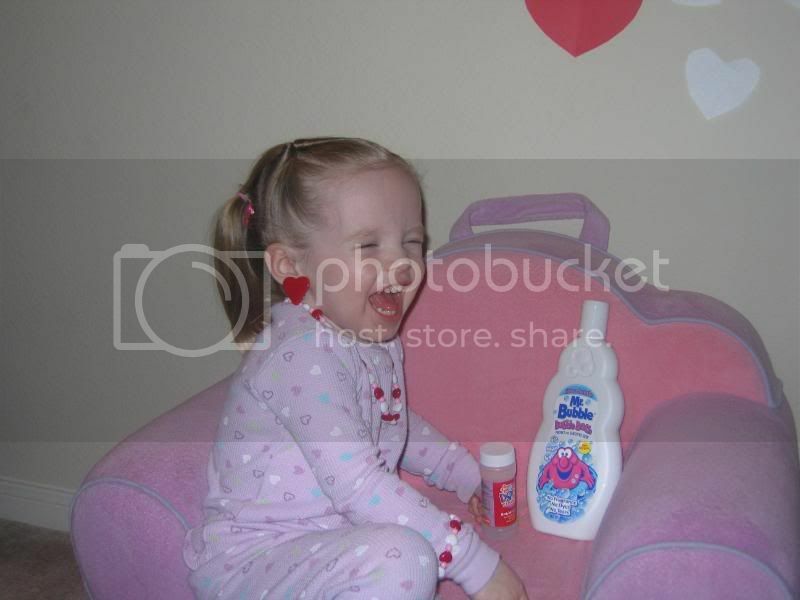 First, was Annie's first Valentine's day, and boy, did she love it. We just filled her full of candy and sweets all day (that's a joke). 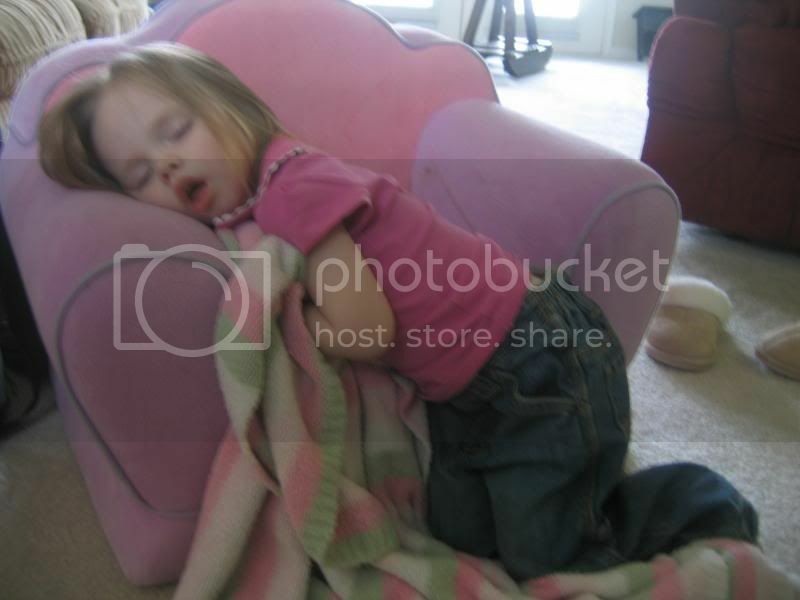 But she did get to wear pink...I'm not sure how you can make it more exciting for her. You can at least say she looks happy...right? Next, this past week was Molly's first trip to the dentist. As a father, I can confess that this is one of the scariest things you can do. Is your kid going to be the one they have to tie to the table (I'm not sure they actually do that in this country any more, but you know what I mean). Never the less, my fear were quickly set aside. I didn't know kids could be as good as she was. I think she would have sat there all day with her mouth open if you wanted her too. Not a tear, not a scream, nothing but smiles and laughter. When they told her to stick her head in the "rocket ship/x-ray machine" I think they she believed them. As her father, I wish I could take credit for it, but to be "tooth-ful" I think Molly is just a good kid. 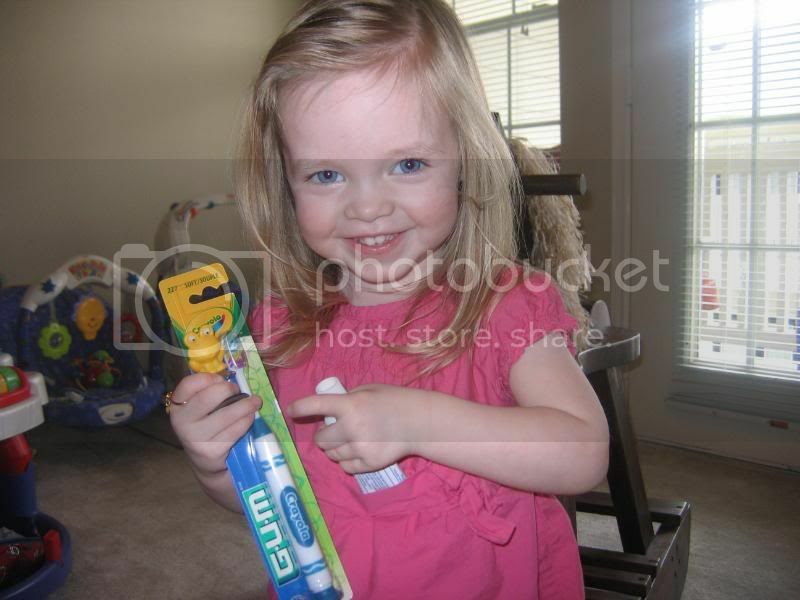 To put it in the same word's the dentist used, "she was the best 2.5 year old we have ever had." 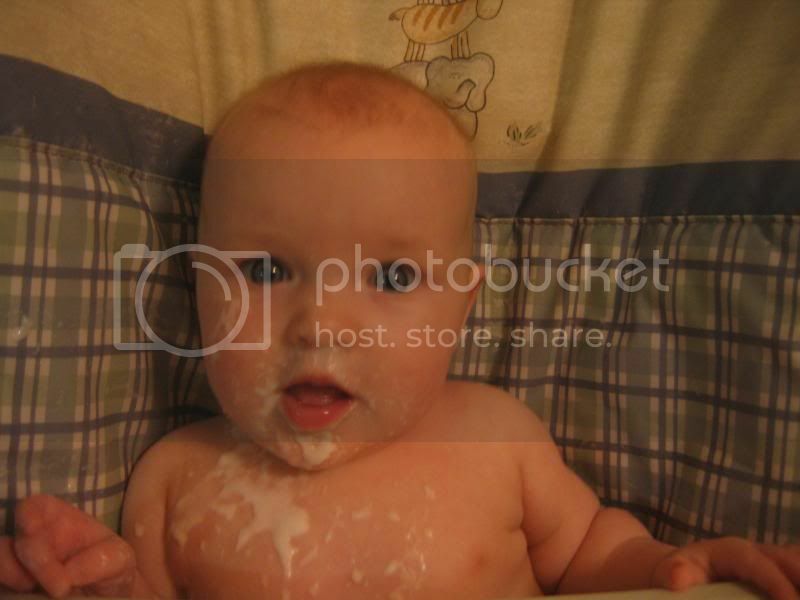 Annie reached 4 months which means she is on to solids, and she loves them. What ever she can't get in her mouth she licks right off the tray. Molly will go to sleep in three places: on our laps while rocking, in her bed, or in the car, but never....NEVER has she just fallen asleep while watching a movie or at the dinner table so finding her like this was certainly a FIRST! 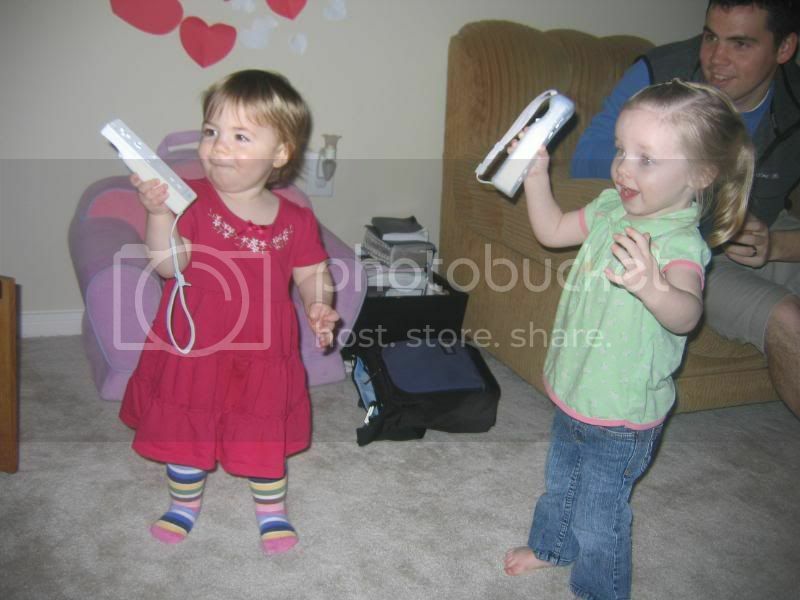 Here is Molly and her friend Maria playing the Wii together. Molly has played the Wii before, but never with someone she can compete with. They were pretty cute to watch. Hannah was referred to as "4-eyes" for the first time in her life. Yep, as she has gotten older she has noticed her vision has slipping so we got her some glasses. If I can say so, I think she looks pretty hot! And there is one we don't picture of it, but Annie did roll over for the first time. It has only been once from her stomach to her back, and once from her back to her stomach. And our last first is that on Wednesday we will officially be in our first house. Now that is an amazing first. We will keep you updated on how we like it. Keep reading below because I have some more pictures of the fam. Just a silly picture of Molly. Annie loves admiring herself in the mirror. Here is a fine example. Here is Molly on Valentines day, with her new "glamorous" jewelry and bubbles. 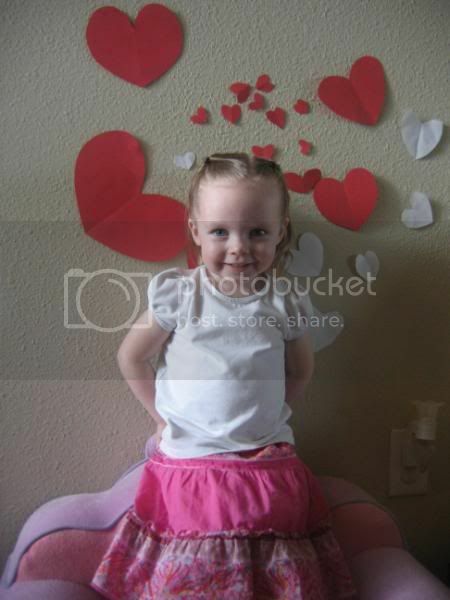 Here is another picture of Molly on Valentine's day. Notice all of the hearts we cut out to put on the wall. We told her to spread them out, but this was as expansive as she could get. 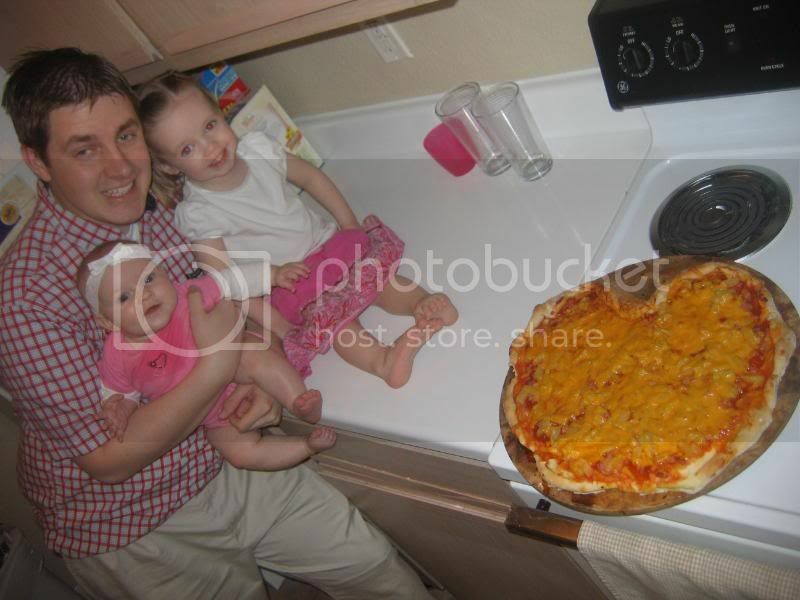 Here we are on Valentines day taking after the tradition of my sister and making a heart pizza...yum...heart pizza. 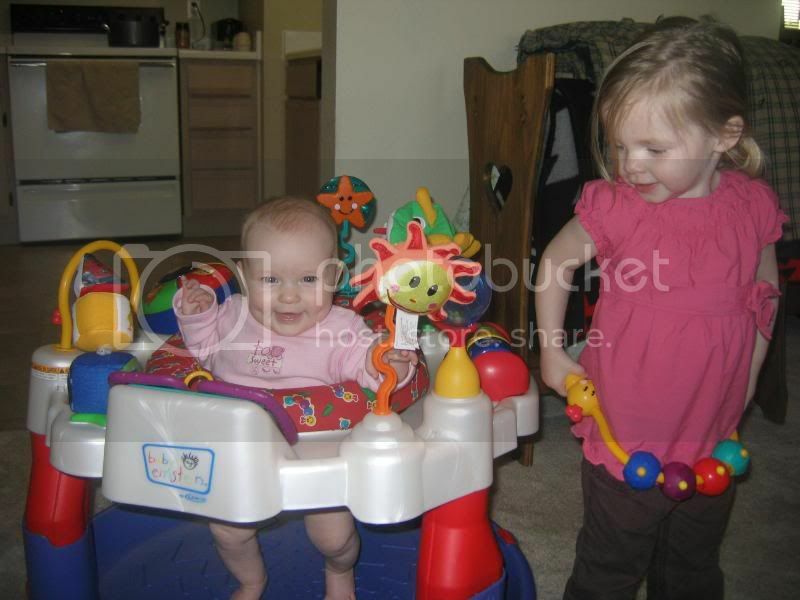 Here is a picture of Annie and Molly hanging out. It's so fun seeing them together. Annie things Molly is the funniest thing in the world. All Molly has to do is walk towards Annie and she will start laughing her face off (not literally, for those concerned), and any other time, she can't take her eyes off of her. I just can't get enough of the dimples! My #4 just came in and wanted to know who the girl was with the Wii. I think he's feeling technologically neglected. Wow! Those are some cute nieces. I love the pictures! SOooooo cute. Keep the pics coming. Makes me so happy. Those pictures are all adorable. I can't believe how much Annie has changed. And also I can't believe how good Molly was at the dentist, I wish she was my patient!!! Cute glasses Han. Miss you guys. I just love reading your blog. Your girls are just so adorable. It makes me glad that I have two of my own. Can't wait to hear how you guys like your new house!! 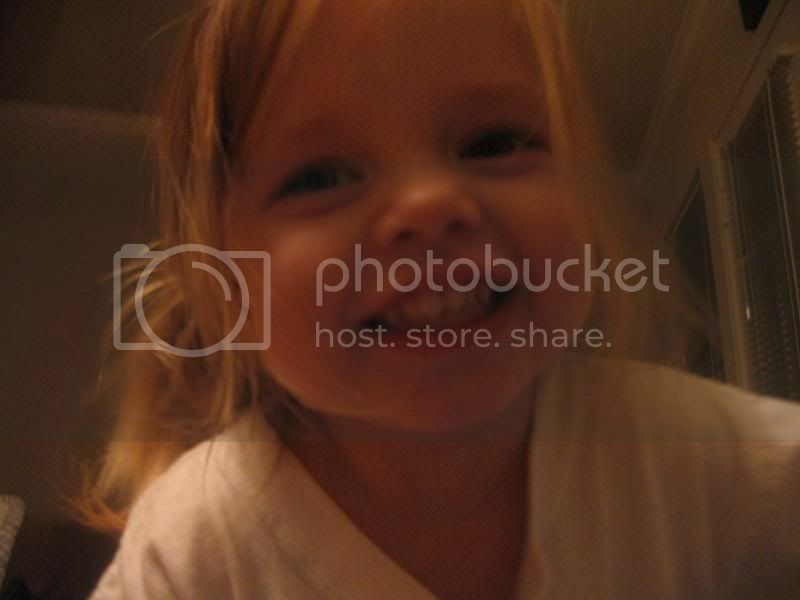 Hannah, Annie is starting to look like you when you were just a wee lil' babe. Especially in that last picture. I love the glasses and miss you soooo much. have fun moving in your house. Don't stress, remember you can change anything you don't like because it is yours! Love you all. seriously...could your kids BE any more cute??? thanks for all of the pics and captions...i loved going through them to see what you guys have been up to!!! I love to hear about your kids. I can totally relate to the dentist story. Molly does a lot of the same stuff that Brooke does. Little girls are so much fun. Oh I wish I was the one who got to clean Molly's teeth for the first time. I'm feeling very jealous of the dentist office in texas!!!! Looks like you guys are doing great. Have fun moving into your new house. That should be lots of fun! I was going to comment on every single cute picture, but I lost track. Hannah, I love the glasses. 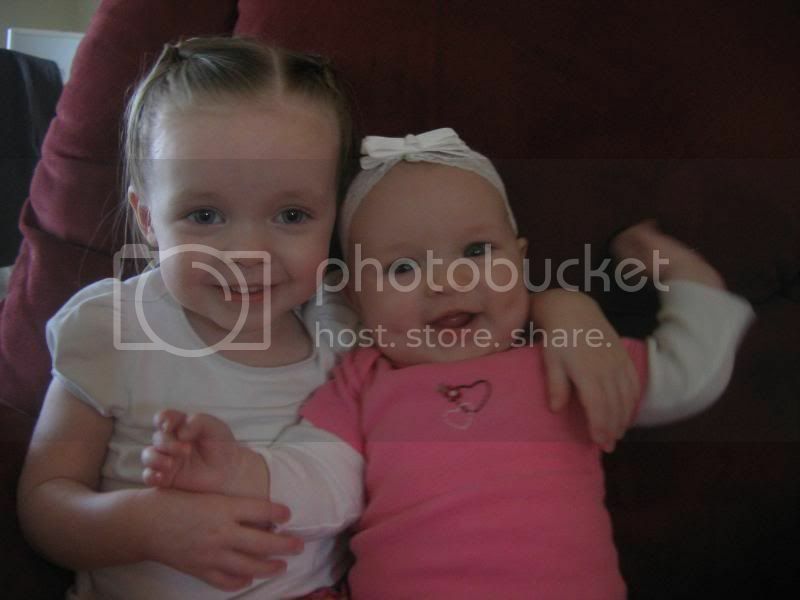 The girls are so stinkin' cute, I am going to cry because I can't see them every day! I'm so glad you guys are having so many fun "firsts"! Love you!!! Miss you!!! i think everyone else said it too, but i have to also YOUR KIDS ARE ADORABLE!!! i mean it! i'm not just saying that either to be nice! too cute for words! can't wait to see pics of the house! i sent out your package today, sorry it's a day late! 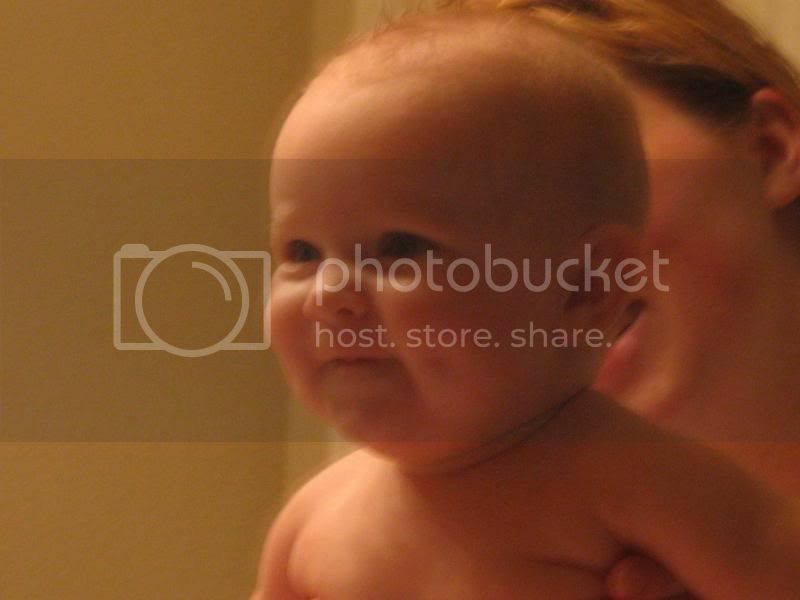 Seriously, Luke and Annie need to marry and have more cute dimpled kids! 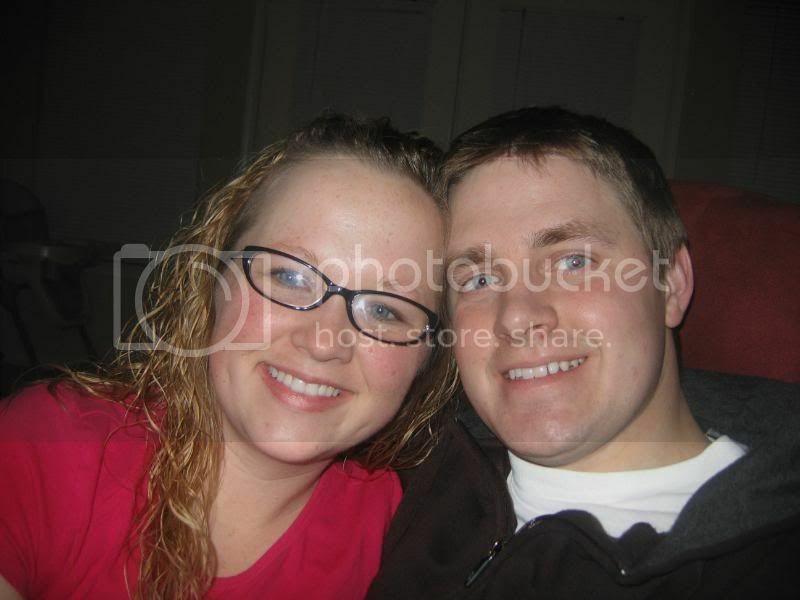 We just miss miss miss you guys...sad you moved but glad you blog, now I can spy I on you and your cute cute girls! Hey again! I forgot to tell you how beautiful your girls are...wow those eyes! I'm jealous of your adventures although I'll always love Cache Valley. In answer to your question, yes we are still here, just built a house in Nibley and I work as a R.N. (yea!) once a week. Thanks for checking in! I'm glad now we can follow the Oylers around the world to wherever you might be! I have known about your blog for awhile now but for some reason I just added it to by list. It is so fun to see you and your family.